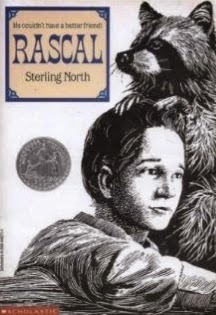 Recently I've been re-reading some favorite books from my childhood, including Rascal, by Sterling North. It's a nostalgic story of the author as an 11-year-old boy and his pet raccoon that he raised from a cub. Even Sterling North called his book "a memoir of a better era", and the childhood he describes is inconceivable today. There's no pressure, no stress, no success or failure, no being driven from one supervised activity to the next. The only competition is a blueberry-pie eating contest. He has long days to wander with his raccoon. He raises money by growing a garden and selling produce to his neighbors. He builds a canoe out of wood and canvas (how did he learn to do that?) and paddles the canoe along the local streams. When I was a kid, I wanted to be a boy like Sterling North, and have outdoor adventures like the ones he and other fictional boy heroes had. In my desire to be like them, I collected the things they carried in their pockets; a pocketknife, a handkerchief, marbles, a box of matches, a candle stub, a length of string, and probably other stuff that I've forgotten. I tried to pack all these objects into my jeans pockets but it couldn't be done. The adventure that might require these provisions never materialized either. While watching British/Irish TV, I've noticed a couple of storylines involving teachers. The first, from Mrs. Brown's Boys, is about a man who unexpectedly turns down a promotion at work. His secret, which his wife has figured out, is that he can't read. The wife takes a job cleaning house for a teacher in exchange for the teacher tutoring her husband. The second storyline, from Downton Abbey, is about a kitchen maid who has an opportunity to run a small farm. She's worried that she doesn't have the book-keeping skills she would need, so she sends away for workbooks to learn basic arithmetic. Then she's frustrated because she can't make sense of the workbooks. The cook hires a teacher to teach the kitchen maid arithmetic, and the kitchen maid is thrilled to finally understand it. In both these stories, an adult needs to learn a particular skill, and the characters trust a teacher to impart that skill. For me, this is what teaching should look like, especially when it comes to basic skills like reading and arithmetic. We know what the desired outcome is and we should find the most solid, expedient and painless way to get there. Needless to say, this is not what goes on in American schools. In American schools, various interests make money by taking what used to be a simple goal (e.g., get the kids reading) and mucking it up with a lot of high-falutin' nonsense ("teach deep comprehension!") The resulting shambles has no reliable effect besides making kids hate the subject. If doctors take as their maxim "First, do no harm", I think teachers should take as their maxim, "First, don't cause the student to hate the subject." As I said somewhere on this blog, what's the point of teaching a child to correctly analyze a novel if they never willingly pick up a book again? Boys and girls, can you say "developmentally inappropriate"? Overachiever's footnote: the teacher says, incorrectly, that "chrysalis" is a synonym for "cocoon". 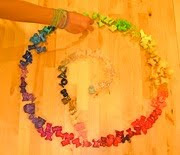 A cocoon is the structure a caterpillar builds around itself; a chrysalis is the pupa of a butterfly or moth.